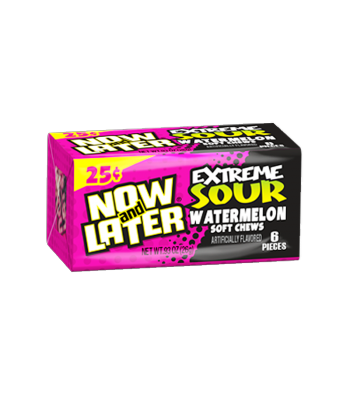 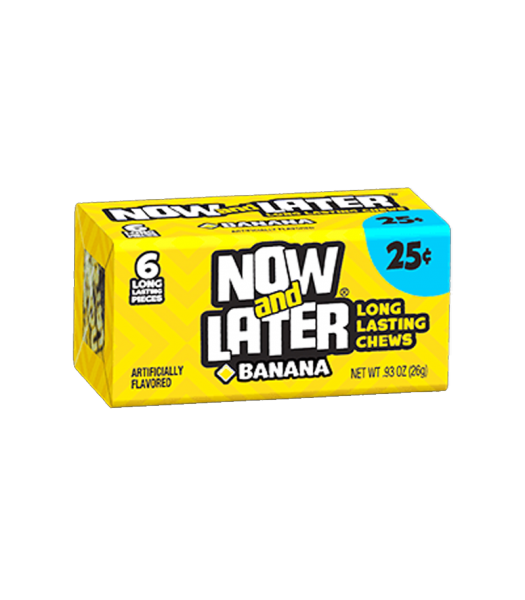 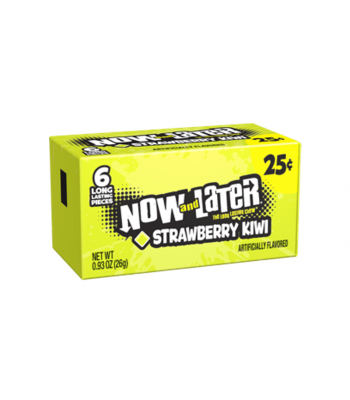 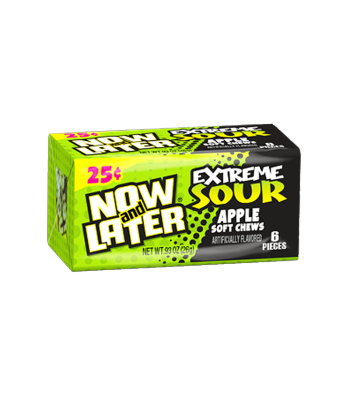 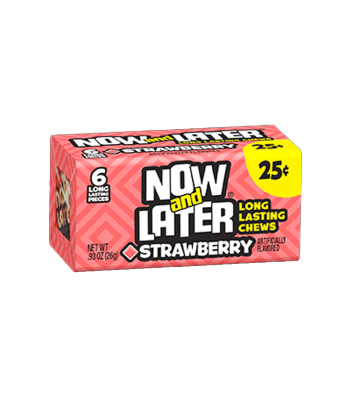 Satisfy your sweet tooth with delicious Now & Later taffy! 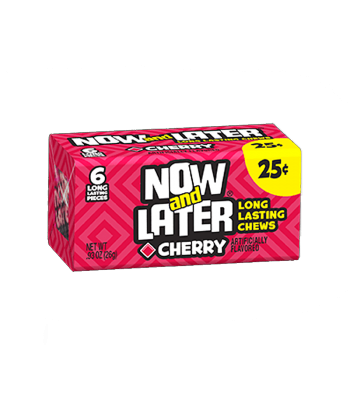 Why is it called Now & Later you ask? 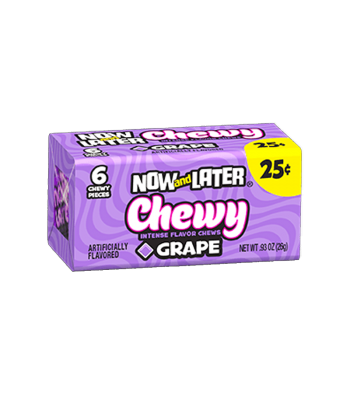 Well, it's hard and fruity at first, and soft and chewy later! 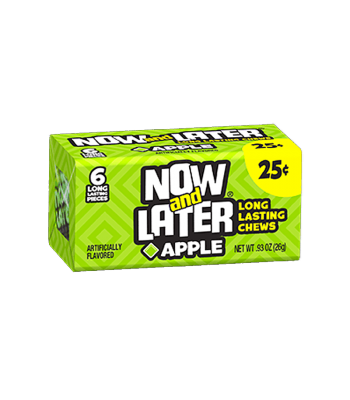 There's plenty to enjoy, and it gives a long-lasting, delectable, drooling, mouth-watering chew with great flavour. 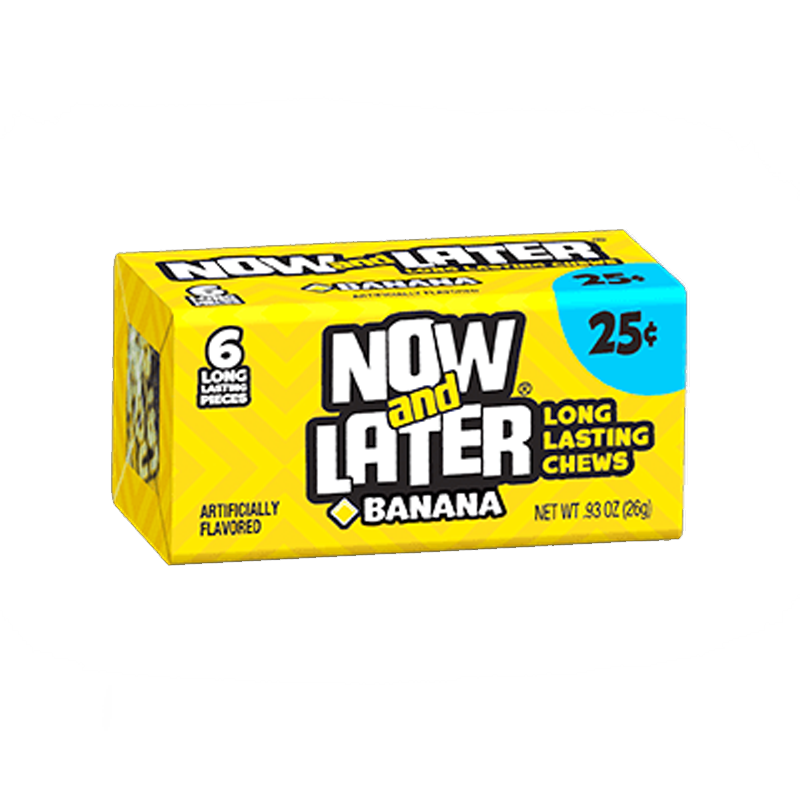 This pack has 6 pieces, each one bursting with the fruity taste of Banana, that'll keep your taste buds satisfied all day long.